With different rewards for different types of travelers, the Budget rewards system is a bit of an atypical loyalty program. Even with the rise of ride hailing, car rental companies, like Budget Rent a Car, remain a staple of business trip itineraries. From hauling presentation gear to events to simply getting around your work travel destination, car rentals won’t be disappearing anytime soon. For frequent renters, you may benefit from one of the many Budget rewards options. Budget offers a basic loyalty membership known as Fastbreak, a business-tailored program, and a network of international partnerships. Let this article serve as your guide to Budget rewards. Budget Bucks are sort of like the Budget version of a traditional points system. More bookings earn more rewards to be redeemed on future spending. However, whereas other loyalty programs allow you to cash in points on partner purchases, like at hotels or airlines, Budget Bucks are only for Budget. That doesn’t mean the car rental service doesn’t have friends in the travel industry. Stay tuned for more info on partner rewards. If your company requires a considerable amount of ground transport on business excursions, the Budget Business Program is recommended over a simple Fastbreak membership. Saving time at the counter is great, but saving money on your rentals is even better – Budget business expands opportunities to conserve dollars through exclusive discounts and rewards. If you need it, the option to get a Budget credit card exists for members of the business program. It’ll make expense tracking easier, and you can get cards for multiple team members. Each partnership operates a bit differently, with hotel points or frequent flyer miles earned on the amount of rental days, dollars spent, or individual bookings with Budget. You can explore more airlines and hotels plus the specifics on each partnership on Budget’s international site. In this day and age, car rentals may not be for all work travelers, but they are necessary for certain types of trips. 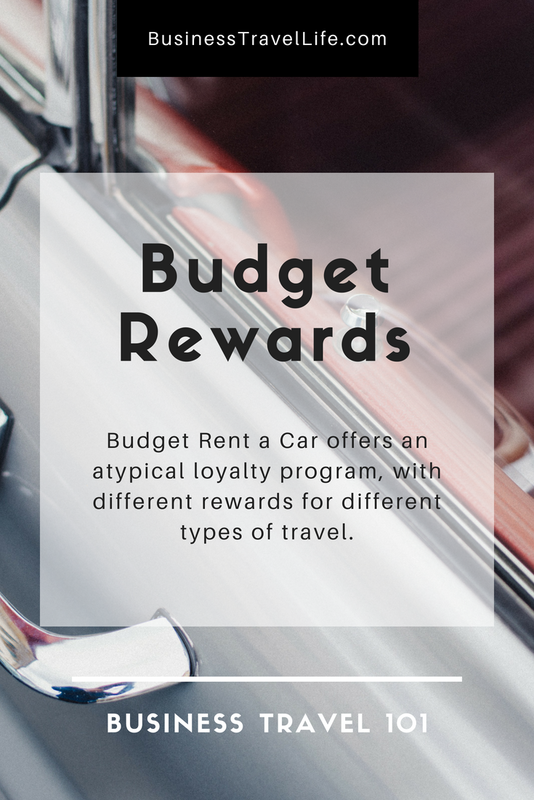 If car rentals appear on your expense reports multiple times a year, it’s worth it to enroll in a loyalty system like the Budget rewards memberships or their partnered programs.